Arive At Delhi Airport/Railway Station and transferred to hotel.Check in the hotel and relax for some time.Rest of the day is at leisure for your individual activities.Overnight stay at the hotel. After Breakfast proceed to full day sightseeing of Laxmi Narayan Temple, India Gate, Parliament House,Jama Masjid, Red Fort and Gandhi Memorial.In evening attend the Light and Sound Show.After show back to the hotel.Evening is at leisure for your individual activities.Overnight stay at the hotel. After Breakfast check out the hotel and transferred to Agra.On arrival check in the hotel and relax for some time Later proceed to half day sightseeing which include One of the Swven Wonders of the World Taj Mahal, Agra Fort and Itmad- Ud-Daula’s Tomb.In evening back to the hotel.Overnight stay at the hotel. After Breakfast check out the hotel and transferred to Jaipur.On the way visit Fatehpur Sikri the old deserted capital of Mughal Emperor Akbar. here you also explore the Jama Masjid, Buland Darwaza, Palace of Jodha Bai,Birbal Bhavan and Panch Mahal.On arrival at Jaipur check in the hotel and relax for some time.Rest of the day is at leisure and you can also explore the local market for shopping on your own.Overnight stay at the hotel. After Breakfast proceed to full day sightseeing of Jaipur which covers Amber Fort here you take a elephant ride to reach the fort gate then visit City Palace Jantar Mantar, Ram Niwas Gardens and Hawa Mahal.In evening you can also explore the local market for shopping on your own.Overnight stay at the hotel. After Breakfast check out the hotel and transferred to Jodhpur by road.On arrival check in the hotel and relax for some time. Rest of the day is at leisure for your individual activities and you can also explore the local market for shopping on your own.Later back to the hotel.Overnight stay at the hotel. After Breakfast proceed to half day sightseeing of Mehrangarh Fort – it is one of the largest forts of India and Jaswant Thada.Rest of the day is at leisure and you can also explore the the market where you can shop for fine handicrafts such as embroidered shoes, Jodhpuri pants , metal knick-knacks, painting, silverware, tie and dye fabrics and more.Later back to the hotel.Overnight stay at the hotel. After Breakfast check out the hotel and transferred to Udaipur. On the way visit Ranakpur temples a well-known Jain pilgrimage center.On arrival at Udaipur check in the hotel and relax for some time.Rest of the day is at leisure for your individual activities.Overnight stay at the hotel. 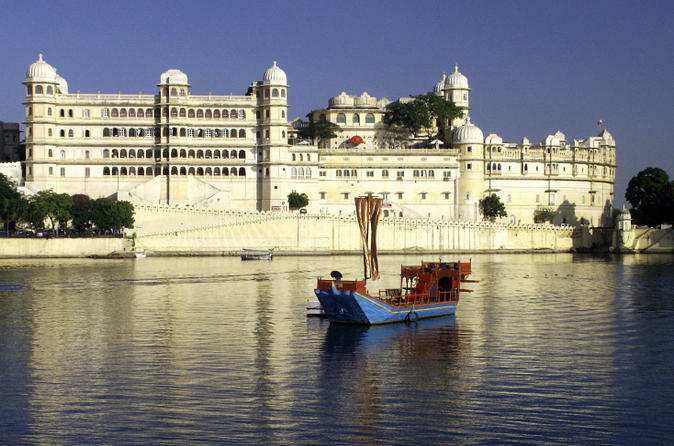 After Breakfast proceed to full day sightseeing of Udaipur which covers City Palace, Jagdish Temple – Dedicated to Lord Vishnu, Fateh Sagar Lake, Saheliyan Ki Bari, Lake Pichola and Bhartiya Lok Kala Mandir,After visiting these places back to the hotel.Evening is at leisure for your individual activities.Overnight stay at the hotel. After Breakfast check out the hotel and transferred to Delhi. On arrival check in the hotel and relax for some time. Rest of the day is at leisure.Later check out the hotel and proceed to Delhi Airport/Railway Station to board a flight for your onwards journey. 10 Night Accommodation in hotels Double sharing room basis. Airport transfers with staff assistance. Any entrance fee to the monuments. Any additional expenses incurred due to any flight delay or cancellation, weather conditions, political closures, technical faults etc. All taxes, entrance fees, airfare, Hotel and Transport rates etc are as on date. Any future hike will be charged extra. The above-mentioned cost is valid from 01st October 2014 to 31st March 2015 EXCEPT 20 December 2014 to 20 January 2015 and Pushkar Period (25th Oct to 10th Nov14). If you have not decided yet or wants to customize tour itinerary or hotels listed above in "Maharajas Trail Rajasthan Tour Package From Indian Holidays", then we can change the travel itinerary and make a personalized, tailor-made holiday package, especially for you. We can modify this travel package as per your itinerary, budget, duration and the tourist places you would like to visit, including transportation and airfare should be included or not. Please fill the form below to contact us.